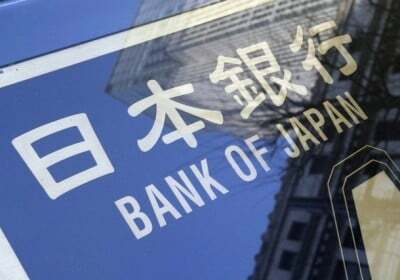 The economic perspectives that Japan brings in evidence that the «non-conventional» monetary policies implemented by some central banks of industrialized are an absolute failure. The Japanese economy not only fails to register sustained economic growth but has regressed to the fall of prices according to official data. The recovery plan of Prime Minister, Shinzo Abe, is dead: as already happened from the middle of the decade of 1990, Japan is sinking into economic stagnation and deflation, even as the public debt continues to grow. The past three months tell us that the panorama of the world system is daily more preoccupying. Both for the geopolitical tensions in Syria, as well as the economic tendencies that touch the recession. For the fourth time this year, the International Monetary Fund (IMF) reduced their estimates of growth: the global economy will expand 3.1% in 2015, the lowest rate since 2009. The process of recovery of the United States is very weak, while the European Economic and Monetary Union and the United Kingdom continue to undergo the risk of deflation (the fall of prices). The countries of Latin America and the Asian Continent, for their part, are themselves not exempt from the economic world turbulence. After the international credit crunch in the first months of 2009, the greater part of emerging economies avoided falling into a deep crisis. The Latin American countries slowed down but did not fall into depression. The same thing happened with the countries of the Asian-Pacific region: China continued with the purchase of a great quantity of commodities, with which the primary exporters of the capitalist periphery resisted more in the face of the collapse when compared with the industrialized nations. Now the situation is very different, the recession advances in South America and the slowdown gathers strength in the Asian Continent. The Group of 7 (G-7, made up of Germany, Canada, the United States, France, Italy, Japan and the United Kingdom) are trapped in a structural crisis. The United States, the Euro Zone and the United Kingdom launched an enormous quantity of monetary and fiscal stimuli to avoid the deepening of the debacle. Nevertheless these policies, rather than dynamizing production and promoting the creation of massive employment, precipitated the accumulation of public debt and stock market growth. The crisis was not resolved, although its more destructive aspects were contained for a few months. In Japan the first symptoms of a return to deflation –the fall of prices – were already present. When the Prime Minister, Shinzo Abe, began his mandate in December of 2012, promised to bring the country out of this situation. With serious shortages since 1980, and a crisis of basic goods, the Japanese economy sank into stagnation in the early 1990s, and was threatened with a fall of prices. The government of Abe gambled its political capital on a recovery plan (known as «Abenomics») supported with the so-called «three arrows»: structural reforms, fiscal stimuli (20.2 trillion yen) and the programme of quantitative flexibility (an increase of the monetary base with an annual amount equivalent to 16% of the GDP, 80 trillion yen). In large terms, the objective is to increase business productivity and competition of Japan in the global economy. The labour market was liberalized to eliminate barriers to capitalist exploitation. In order to join the Trans-Pacific Partnership (TPP), pushed by the United States, Abe proposes to open sectors of agriculture and health care, among others, although internal resistance still doesn’t allow this. He has also lowered the taxes on corporations in order to promote productive investment, and he has increased the Value Added Tax from 6 to 8% in order to avoid a fiscal aperture. Finally, a programme of injection of liquidity was established in order to encourage the take off of the economy. The Japanese economy fell to -1.2% between April and June (in annual terms). And there are signs that the recession will not cease in the final 2 trimesters of the year. In spite of the aggressiveness of the Bank of Japan’s policy, the inter-annual rate of inflation (if one excludes food and energy) continues without growth. In August it fell to -0.1%. This is the first time that it registered negative rates since April of 2013. The depreciation of the Yen of over 30% to the dollar has still not dynamized foreign trade sufficiently. Industrial production (machinery, automobiles, electronic appliances, etc.) has fallen and the level of consumption of families is not enough to raise internal demand. The public debt has almost reached 250% of the GDP; the degradation of solvency is such that the Standard & Poors agency had no alternative and in mid September reduced the qualification of the sovereign debt of the Asian country from A+ to AA-. The Governor of the Bank of Japan, Haruhiko Kuroda, maintains that the fall in economic activity involves a situation that will soon be overcome, since it is transitional: both the fall in the price of oil, along with the drastic deceleration of China are obstacles that prevent the plan of «Abenomics» from overcoming stagnation and deflation. Without doubt, among the countries of industrial capitalism, Japan is in one of the major economic dramas for over two decades. At the beginnings of October, the Central Bank repeated that it would not cancel the possibility of expanding its programme of monetary stimuli if the situation became more critical. Nevertheless, it is obvious that it does not serve to administer higher doses of a medicine that in place of curing simply prolongs the disaster.